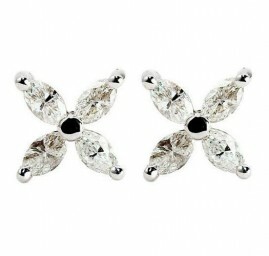 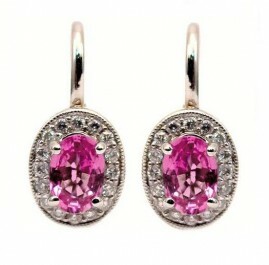 One pair of 14k white gold amethyst and diamond hoop earrings. 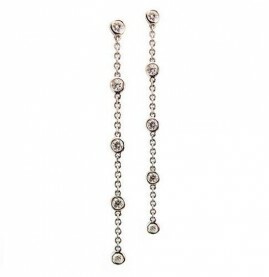 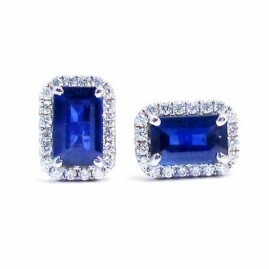 The earrings contain 2 emerald cut amethysts weighing approximately 1.25ct total weight, with fine saturation and medium tone. 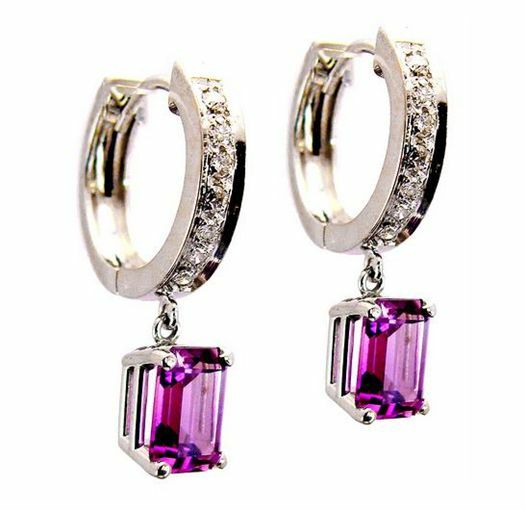 The amethysts hang from diamond hoops, which contain approximately 0.25ct total weight of round brilliant cut diamonds, bead set on the front side of the hoops.